complications of strokes at 9:13 a.m.
Foley, first elected in 1964, represented the Fifth District of Washington State for thirty years. The son of Judge Ralph and Helen Foley, Foley grew up, in an atmosphere rich with politics (his father was an elected state Superior Court judge for a record 35 years) that included dinner conversations with then Senator Scoop Jackson. Certainly, his father Ralph was an enormous influence on Foley and inspired the evenhandedness and judicial nature that marked Foley’s long career in the Congress. Following the wishes his father, a respected judge and former prosecutor, Foley graduated from Gonzaga Prep and attended Spokane’s Gonzaga University. After several years at GU, he transferred to the University of Washington from which he received a Bachelor of Arts degree and moved on to graduate from UW’s Law school in 1957. After completing law school, Foley returned to Spokane, practiced law and then joined the Spokane County Prosecutor’s office. About that time of his life, Foley said “I had more power as a prosecutor than at any other time in my life.” It was during this time that Foley taught constitutional law at Gonzaga University Law School in Spokane, Washington. It gave him a basis for understanding the provisions of the Constitution and the reasons for each provision. In 1960, he joined the office of the State of Washington Attorney General’s office. In 1961 in a major career move he moved to Washington, DC to become a special counsel to Senator Henry M. (Scoop) Jackson. Scoop was a rising political and institutional power in the Senate and chairman of the Senate Committee on Interior and Insular Affairs. In 1964 Scoop recruited four young political aspirants to run for the House in Washington State. It was a national landslide year for Democrats. All of Scoop’s choices won; Tom Foley’s narrow victory over a twenty two year incumbent was by far the most surprising. Foley’s career in public service was influenced by his father’s traits of courtesy, patience and a sense of public responsibility. But in 1965 little did anyone know that the urbane six foot four young lawyer from Spokane would emerge as a leading voice of Congressional reform and a champion of the integrity of the US Constitution. His rise up the ladder in what was a very tradition laden House was aided by his uncommon ability to forge a following from southern conservatives, westerners and urban liberals. Contrary to the public perceptions about politicians, Foley was always a kind man who never spoke badly about anyone either publicly or privately. He was almost saintly in this respect, as though he had taken a vow to always see the positive in people. Foley thought more was to be gained in both life and politics by listening and respecting differences. Assigned to the House Committee on Agriculture when he was sworn in as a Congressman, he became its chairman in 1975, Foley took a strong interest in the problems of hunger across the United States. The Committee was and remained for years a political bastion of southern and rural conservatives whose main interests were crops and livestock. However, in the late 1960s, when medical teams reported widespread hunger and malnutrition in very poor parts of the country, especially among children, Foley led House efforts to expand and improve the then-very-small food stamp and nutrition programs, greatly expanding and spreading them nationwide. He built bipartisan House support for these reforms and worked with Senators Robert Dole and George McGovern to pass a battery of measures in the 1970s that transformed food stamps. In the late 1970s, medical teams returned to very poor areas of the country and reported dramatic reductions in hunger and the near-elimination of childhood diseases caused by malnutrition. They credited the reforms Foley and his Senate allies had engineered as the pivotal factor behind the improvements. Despite representing a giant wheat producing district in a politically conservative stretch of America, Foley became a champion of civil liberties and respect for the Constitution. He engineered the defeat of an anti-flag burning Constitutional amendment and worked to prevent other amendments he thought harmful to the Constitution such as prayer in the public school and term limits for Members of Congress. Foley believed the Constitution was very clear in its intent and that voters had an opportunity every two years to term limit any incumbent of the House or Senate running for reelection. Although his views were validated by the Supreme Court (U.S. Term Limits, Inc. v. Thornton), the fact that he publicly became involved in a law suit to declare the State of Washington’s term limits unconstitutional was politically unpopular at home. His willingness to take political risks on a point of constitutional principle came to play a role in his defeat for reelection in 1994. Foley’s prominence in the leading internal reform organization of the House, the Democratic Study Group, did not prevent Majority Leader Jim Wright from naming him Majority Whip, third in command of the House Majority. Foley was a continuation of a remarkable run of Irish Americans in the leadership of the House. Like Tip O’Neill he was a large and formidable figure with a bottomless well of humorous stories that served to break political tensions and bring people to negotiations that helped move the institution forward. It was at this time that Foley had a chance to display his remarkable skills in foreign affairs. He became O’Neill’s point man on the contentious issues of Northern Ireland and in bringing about a bipartisan show of support for the Reagan’s Administration invasion of Grenada. Foreign policy issues, whether about the policy or the process, increasingly drew his attention. Foley was a prominent figure in the anti-Contra furor in the House and opposed the first Iraq war. Ireland was also never far from his mind and was inspired by the political bravery of John Hume later a Nobel Peace prize winner. Foley steadily worked for peace and reconciliation in Northern Ireland throughout his Speakership. Foley’s interest in foreign affairs was never far from the surface and ultimately resulted in his being the only Member of the House who had been awarded the highest honors from our most important allies: Great Britain made him a Commander of the British Empire, Germany gave him its Order of Merit, France conveyed membership in the Legion of Honor and Japan awarded him the Order of the Rising Sun with Paulownia Flowers, Grand Cordon. House leaders and Members increasingly respected the political skills of their Whip and former Caucus Chair. He became a fixture at Democratic Conventions serving as parliamentarian until he himself became Chairman of the Convention in 1992 when Bill Clinton was nominated for his first term. Ever faithful to a major wheat producing constituency Foley was an unusual Democrat because he was a steady supporter of trade liberalization and became essential in ensuring significant Democratic support for trade bills that might otherwise have been defeated. He will be most remembered in this respect for moving the North American Free Trade Act through a contentious Congress. Foley seemed to move naturally to issues revolving around the budget and in 1987 after being elected Majority Leader he became a member of the House Budget Committee. Beginning with the Black Friday stock market crash during the Reagan Administration Foley was present in every negotiation designed to avoid the prolonged standoff that now exists. Foley became very involved with these issues initially when he led the House negotiators in responding to the issues associated with the Gramm – Rudman – Hollings Act and ultimately getting an agreement on that complicated and controversial proposal. In 1987, Foley chaired the negotiations between the Congress and the Reagan Administration to respond to the stock market “Black Friday” crash. Working with then Secretary of the Treasury James A. Baker III and others, that group under Foley’s leadership came to a consensus that eased the markets and helped strengthen the economy. Foley was an active participant in the 1990 Budget Summit negotiations on Capitol Hill and at Andrews AFB and it was his leadership and in his office that the eight leaders came together to work out the final agreement that the Congress subsequently passed. Foley led the House of Representatives during the first two years of President Bill Clinton’s first term. The 1993 economic plan approved under his leadership arguably was important in enhancing the country’s economy and moving toward a balanced budget. Like O’Neill, Foley was very much a believer that the perfect should not get in the way of the achievable. He was part of the political generation influenced by the Presidency of Lyndon Johnson and the view that half of something was better than none. There was always another day and another Congress to move forward and get the other half done. A man not prone to public anger he reserved his passions for things he thought essential to the continuation of a just and prosperous nation. Hunger in all its forms, oppression through Government rules and tinkering with the Constitution to satisfy temporary political uproar went against the grain. He was a man who could bring a world’s fair to Spokane (Expo 74) which attracted 5.2 million visitors, a huge third power house to Grand Coulee Dam (at that time Grand Coulee became the largest hydro dam in the USA) and successfully fight the FDA and the movie industry on issues important to the common man. Foley never deviated from the idea that you fought for people who went to work every day and kept faith in a just Nation, just as his grandfather did in the Spokane rail boiler shops at the turn of the previous century. Foley’s own thirty years in office involve fifteen campaigns for election. Some he won by large margins and others were uncomfortably close. After surviving the Reagan landslide of 1980 he did not retreat to the insular politics of staying close to home. Rather he took on more political risk. Upon becoming the Majority Whip he had to give up his Agriculture Committee Chairmanship and use his legislative skills in helping lead the national Democratic Party and supporting the policy agenda of the Clinton presidency which he did faithfully. But, unlike the 1980 election he could not hold on to an increasingly conservative and Republican district. As the Democrats lost the majority in the House in 1994 so too did he closely lose his seat as the representative from the Fifth District of Washington State. Foley saw the future, not in lobbying, but in trying to stay involved in broad policy questions and foreign affairs. He became of counsel to the prominent Washington law firm of Akin, Gump, Strauss, Hauer & Feld and Chairman of President Clinton’s Intelligence Advisory Board. In 1997 President Clinton named Foley as the United States Ambassador to Japan. Foley knew Japan well, having traveled there every year he served in Congress, becoming close to Japanese leaders, politicians, academics and business men. He was particularly fascinated by the courtesies inherent in Japanese culture and developed a deep respect for the country’s traditions and customs. Accordingly, he was widely respected by the Japanese public and in 2001 the new administration of President Bush asked him to stay on to handle the public affairs disaster that occurred when a US submarine accidentally sank the Ehime Maru, a Japanese fishery high school training ship in Honolulu’s harbor. Foley left Tokyo in March of 2001 and returned to Akin Gump and became North American Chairman of the Trilateral Commission of which he had a been a long time member. Illness forced him to leave both positions in 2008. He is survived by his wife the former Heather Strachan to whom he was married on December 19, 1968 and his sister Maureen Latimer, her husband Richard Latimer of Santa Rosa, California and their children Elizabeth Ann Garbocci of Ukiah, California; Kathleen Ely of Martinez, California; Carolyn Latimer of Santa Rosa, California; John Latimer of Elk Grove, California; and Mark Latimer of Petaluma, California. Born 03/06/29 in Spokane, Washington. Died 10/18/13 at home in Washington, DC. 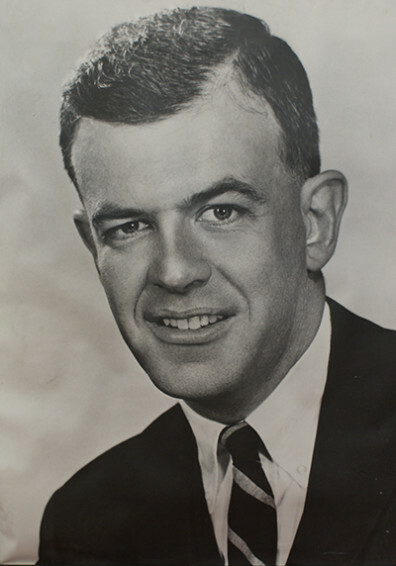 Thomas S. Foley was elected to the U. S. House of Representatives in 1964 and left office at the end of 1994. In 1965 upon assuming office he was appointed to the House Agriculture Committee and the House Committee on Interior and Insular Affairs. Subsequently, because of the integrity he showed, he became a member for four years (1973 through 1976) of the House Committee on Standards of Official Conduct (now known as the House Ethics Committee). From 1972 through 1976 Foley became Chairman of the Democratic Study Group and it was there he became a quiet proponent of House rule change. Those proposals were passed by the Democratic Caucus in 1974 when the so called Watergate class of new Members of Congress insisted that the old seniority system be modified. In 1974 the House Democratic Caucus refused by three votes to seat William R. Poage as Chairman of the House Agriculture Committee even though Foley spoke on his behalf. It was Mr. Poage who turned around and nominated Foley as Chairman of the House Agriculture Committee. Foley served as Chairman from 1975 through 1980. House Rules required him to resign as a member of the House Interior and Insular Affairs Committee and the House Committee on Standards of Official Conduct when he became Chairman. But the rules did not prohibit his becoming Caucus chair. He served as Chair from 1976 through 1980. From 1981 to 1987, he served as the Majority Whip, the number three position in the House Democratic Leadership. As the Majority Whip he was a member of the House Administration Committee from 1981 through 1986. When he became House Majority Whip, he had to resign from his Membership on the House Agriculture Committee and as its Chairman. Mr. Foley became Majority Leader in 1987 until he became the 57th Speaker on June 6, 1989. Upon assuming the position of Majority Leader he became a member of the House Budget Committee and the House Intelligence Committee. In addition, he served as an influential member of the Select House Committee on Iran Contra. Mr. Foley was defeated for election in 1994 in a landslide attributed by some to the inability of the U. S. Congress to craft a health reform bill. Mr. Foley was of counsel to the law firm of Akin, Gump, Strauss, Hauer & Feld after he left office from 1995 through 1997. During that time he was Chairman of the President’s Foreign Intelligence Advisory Board. President Clinton nominated him to be the 25th U.S. Ambassador to Japan in 1997. He served in Japan until March 2001. After leaving his diplomatic post in March 2001 Mr. Foley also chaired the Mansfield Foundation until 2008 and was active on a number of private and public boards of directors, including the Japan-America Society of Washington, the Center for Strategic and International Studies, a number of Japan Societies throughout the country, and the Center for National Policy. He was a member of the Board of Governors of the East-West Center, a member for the Council on Foreign Relations, and North American Chairman of the Trilateral Commission. In 1995, the Thomas S. Foley Institute for Public Policy and Public Service was established at Washington State University, in Pullman, Washington, in order to honor the former speaker’s career in public service. The Institute continues the Foley legacy through its efforts to educate the public about civic affairs, promote scholarly research on major policy questions, and to encourage young people to pursue honorable careers in public service. . Foley also donated his congressional papers, an extensive collection of correspondence, reports, campaign materials, and audio and video recordings, to the WSU Libraries. Memorial services will be held in Washington, DC and later in Spokane, Washington. In lieu of flowers, the family suggests donations to Foley Institute for Public Policy & Public Service at Washington State University in Pullman, Wash.
C. James Judson Incorporated P.S. Patrick Dunn & Associates Ltd.